Email-based wood­carv­ing dis­cus­sion groups are won­der­ful ways to learn and help oth­ers learn about wood­carv­ing. Email from the list group is sent to the list serv­er which in turn for­wards the mes­sage to every­one in the group. The wood­carv­er lists vary great­ly in group norms — some per­mit lit­tle off-top­ic chat, some tol­er­ate a small amount and some encour­age off-top­ic chat. Face­book groups are a grow­ing and use­ful resource; like mail lists, they sup­port inter­ac­tive con­ver­sa­tion, but are often eas­i­er to post pho­tos. The Wood­Carver List, estab­lished in 1996, is the old­est carv­ing-relat­ed dis­cus­sion list on the ‘web. Some­thing over 600 carvers sub­scribe to the List, where a vari­ety of wood­carv­ing top­ics are dis­cussed by carvers rang­ing from sea­soned pros to new­bies with their first tool. Have a wood­carv­ing ques­tion? The List is the place to ask. Click the logo at left or The List in the menu bar for more infor­ma­tion or to sub­scribe. The Wood­carver List Face­book Group is a very active adjunct to the List. The Face­book group gives us a place to post pho­tos of recent projects, share tips, ask ques­tions, etc. To vis­it the group, click the logo at left or link in the menu bar under The List. Wood Carv­ing Fun is anoth­er on-line com­mu­ni­ty of carvers. Folks in this group tend to chat off-top­ic just a lit­tle bit more than folks on the Woodc@rvers List. The Knot­holes wood­carv­er list is anoth­er on-line carvers group sim­i­lar to Wood­carv­ing Fun, with less off-top­ic chat. Click the icon for more infor­ma­tion. Fishcarving2 List — Fishcarving2 is the place to share meth­ods, tech­niques, and oth­er infor­ma­tion that will help pro­mote, and improve the art of fish carv­ing. Carousel Carvers — A forum for dis­cussing carousels, carousel art, carousel restora­tion, carousel col­lectibles and any­thing else relat­ed to the art of the carousel. The home of the Car­i­ca­ture Carvers of Amer­i­ca. Well worth the vis­it for any­one inter­est­ed in car­i­ca­ture carv­ing. The Nation­al Wood Carvers Asso­ci­a­tion is well worth the cost of mem­ber­ship; Chip Chats mag­a­zine is includ­ed in the annu­al mem­ber­ship. Affil­i­at­ed Wood Carvers, Lim­it­ed, (AWC) is a non-prof­it cor­po­ra­tion which pub­licly pro­motes the fine art of wood­carv­ing through the spon­sor­ship of the Inter­na­tion­al Wood­carvers Con­gress. Mem­ber­ship infor­ma­tion on the web site. 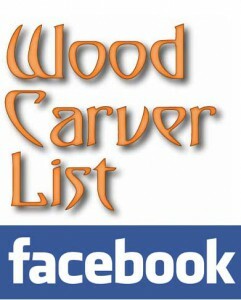 Mike Parker’s page of Links to Woodcarving/Woodworking Guilds and Clubs in the US, Cana­da and Eng­land. Last updat­ed 12/03. If you would like your state-wide or region­al club or orga­ni­za­tion list­ed , please use the form at the bot­tom of this page. Bird Carvers Online Com­mu­ni­ty — Fea­tures a Chat Room with reg­u­lar­ly sched­uled chats like Talk with the Pros, tons of shop talk post­ed in the main Dis­cus­sion Forum, etc. Chip Chats mag­a­zine is the offi­cial pub­li­ca­tion of the Nation­al Wood Carvers Asso­ci­a­tion — and well worth the price of mem­ber­ship. Wood Carv­ing Illus­trat­ed is anoth­er excel­lent carv­ing mag­a­zine. Click the logo to vis­it the web home page of WCI. The Wood­carvers Gazette is a ded­i­cat­ed Wood­carv­ing mag­a­zine, pub­lished quar­ter­ly by the British Wood­carvers Asso­ci­a­tion.